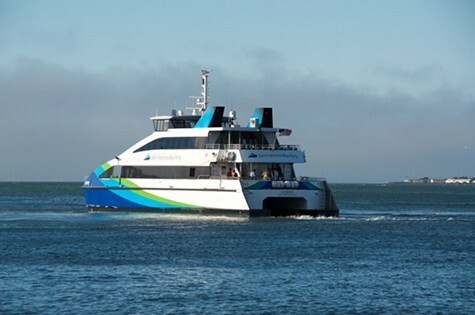 As traditional Bay Area transportation faces increasing problems with congestion, capacity constraints, and occasional service disruptions on public transit, more commuters have set their eyes on ferry routes across the bay. On Monday, the Department of Transportation and Federal Transit Administration awarded the Water Emergency Transportation Authority, which operates the San Francisco Bay Ferry service, a $3 million grant to construct a new maintenance and operations facility in Alameda, according to WETA. WETA, which operates ferries to Alameda, Oakland, San Francisco, Vallejo, and South San Francisco, claims that the to-be-constructed central maintenance facility would consolidate maintenance and operations in one central location for all of its vessels and would serve as an emergency operations center in case of a regional emergency. The facility will also provide new job opportunities for Bay Area residents. WETA also said that the $3 million facility, which would house fueling, oil changes, light repairs, and other routine maintenance work, will result in improved service for ferrygoers.